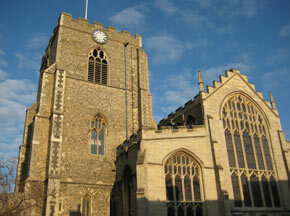 The PCC of St Mary’s with St Peter’s, Bury St Edmunds is the data controller (contact details below). This means it decides how your personal data is processed and for what purposes. The PCC of St Mary’s with St Peter’s, Bury St Edmunds complies with its obligations under the “GDPR” by keeping personal data up to date; by storing and destroying it securely; by not collecting or retaining excessive amounts of data; by protecting personal data from loss, misuse, unauthorised access and disclosure and by ensuring that appropriate technical measures are in place to protect personal data. 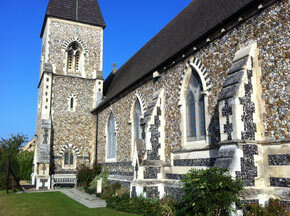 This section sets out how the Parish of St Mary with St Peter uses and protects any information that you give us when you use this website or www.stpetersbse.uk. Should we ask you to provide certain information by which you can be identified when using our websites, then you can be assured that it will only be used in accordance with this privacy statement. We are committed to ensuring that your information is secure. In order to prevent unauthorised access or disclosure we have put in place suitable physical, electronic and managerial procedures to safeguard and secure the information we collect online. To exercise all relevant rights, queries or complaints please in the first instance contact the Parish Administrator at the Parish Office, St Mary’s Church, Honey Hill, Bury St Edmunds, IP33 1RT or by email to office@wearechurch.net.